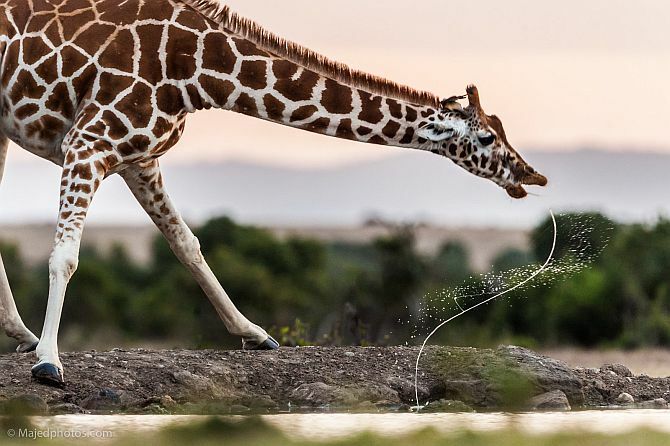 National Geographic has once again opened its annual photo contest. Contest participants can send their photographs in three categories -- people, place and nature. 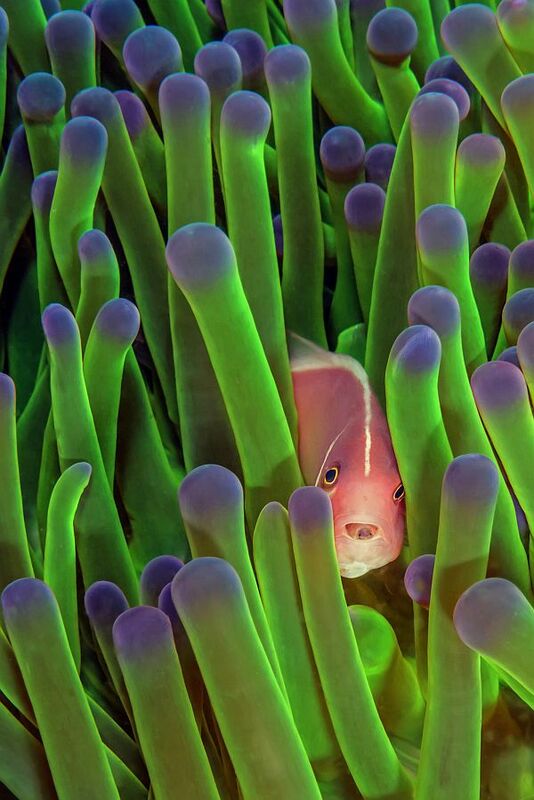 One first-place winner will be chosen from each of the three categories, and the winning photographs will be published in National Geographic magazine. The overall grand-prize winner will be announced in December 2013. Rediff.com brings for you 10 entries we thought we should share with you. We start off with this photograph by Scott Bechtel. 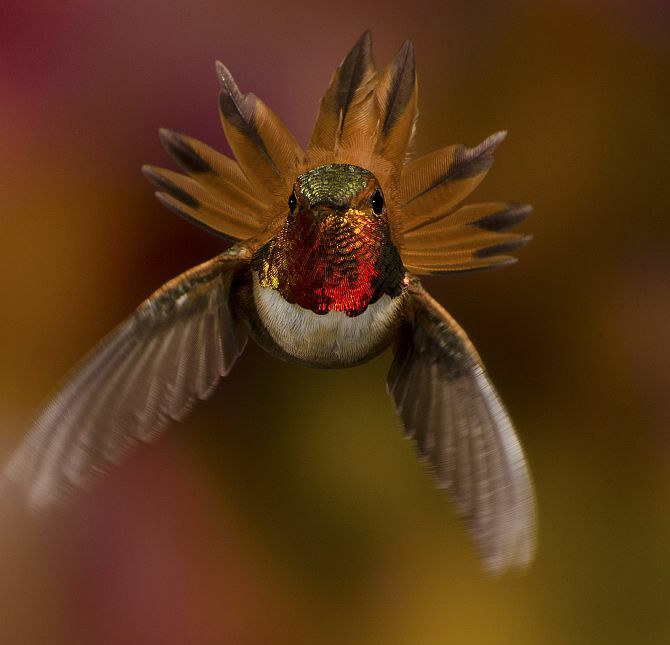 In Bechtel's words: "While photographing hummingbirds in British Columbia, I shot this male Rufous just as he fanned out to show his authority when another male appeared over my head." In Majed's words: We wanted to search for a leopard that morning, but we found a group of giraffes coming towards a small lake. Watching them drinking water was a nice moment, especially when they finished leaving a letters S with motion in the air. Location: Mishima town in Fukushima prefecture, Japan. 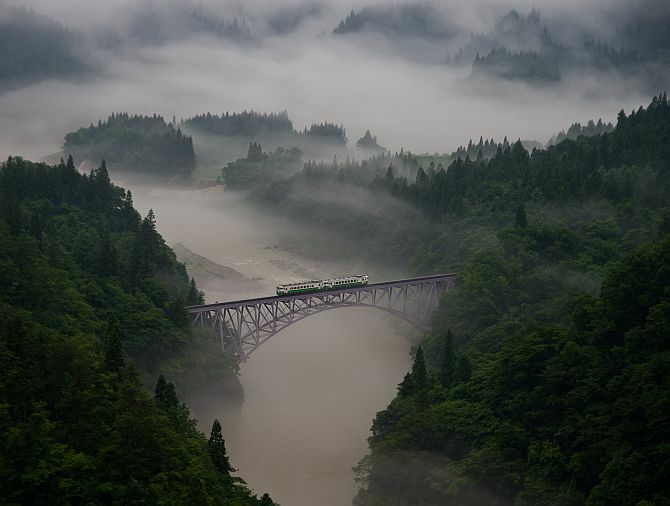 In Teruo's Words: The first train goes across the railway bridge through in morning mist. The train moves forward little by little slowly. I thought, this sight has expressed the Fukushima people defying to recover from the earthquake and nuclear accident. But it is an uncertain endless journey. 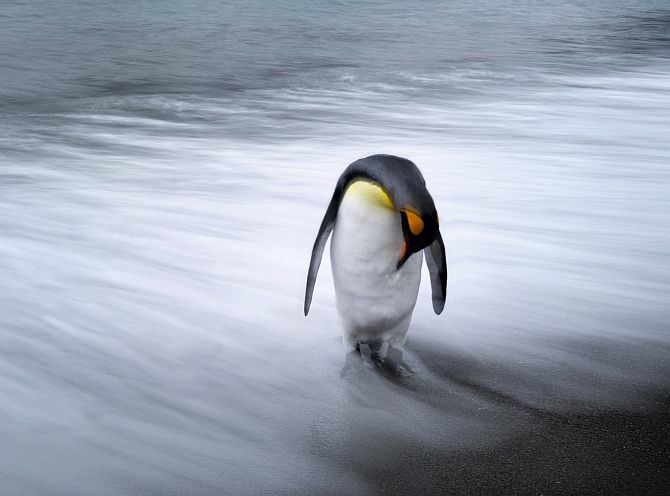 In Max's Words: A long penguin standing in the surf on South Georgia Island. 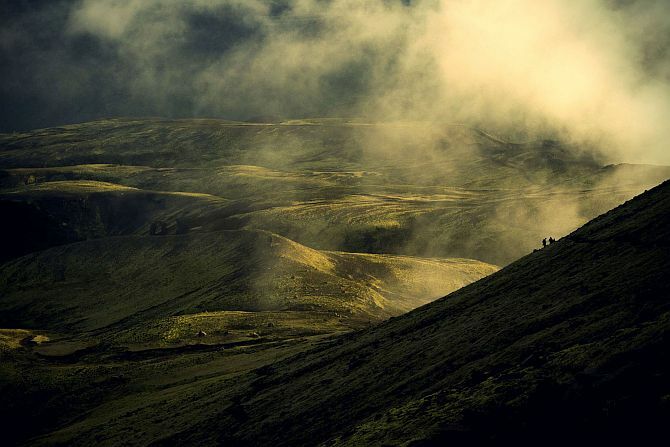 In Amanda's Words: Every summer solstice, locals in Iceland hike the Skogar to Thorsmork trail. Taking nearly 8 hours to complete, you can approach Thorsmork right as the sun starts to "rise" again. A few fellow hikers up ahead navigate the steep terrain. 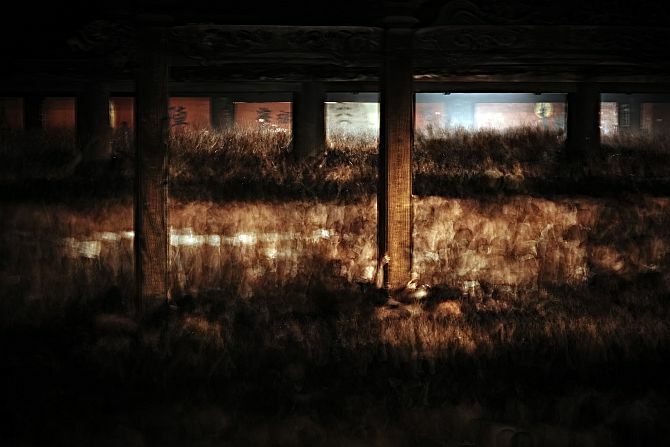 In Yosuke's Words: The Saidai-ji Eyo festival, considered one of the three strangest festivals of Japan, is a Buddhist ritual in which 9000 men compete to grab just a pair of sacred wooden batons to decide who will be the "Blessed man" for the year. The over 500 year-old tradition of Eyo is based on an underlying understanding of the state of human life, greater than the ideals and trends of a single generation, and this idea has been cherished and passed down through the centuries. 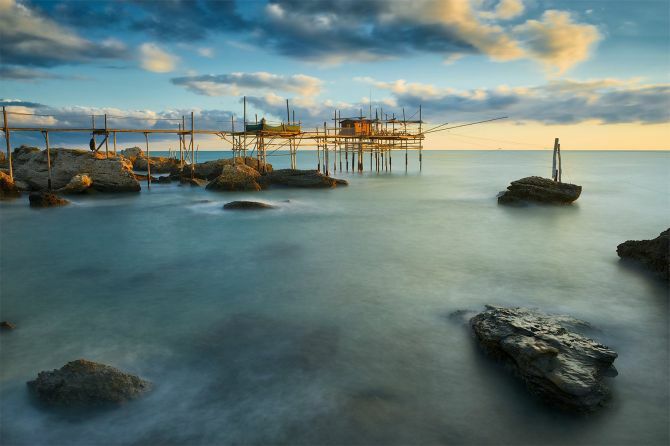 In Giacomo's Words: A trabocco is an old fishing machine built from wood jutting out into the sea, from where two (or more) long arms called antenna stretch out suspended some feet above the water and supporting a huge net. In Graham's Words: Eastern Screech Owls like to take over woodpecker nests that have been dug out over the years in pine trees, which are the main species of tree at this swamp. Fish and wildlife authorities also paint a white ring around the base of a tree that has active nests in order to avoid when conducting controlled burns. Screech owls can range in height anywhere from 8-10 inches, so you have to have a sharp eye to find these little birds of prey. 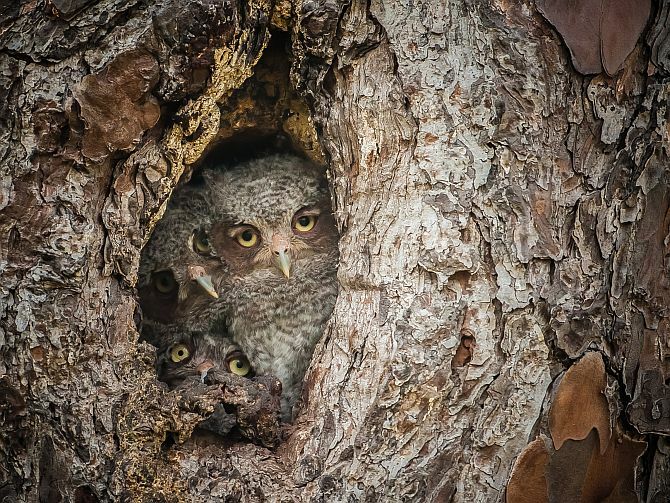 I spent the first few weeks of April this year photographing the grey morph screech owl that was living in the nest and had no idea there were three owlets inside.